Boasting is an important part of a proper fisherman's website. Look at all the big trout I've caught! Well, okay. Some of them were caught by friends. And family. And some of them weren't caught at all, but now that I know my way around a camera I can take pictures of them anyway. 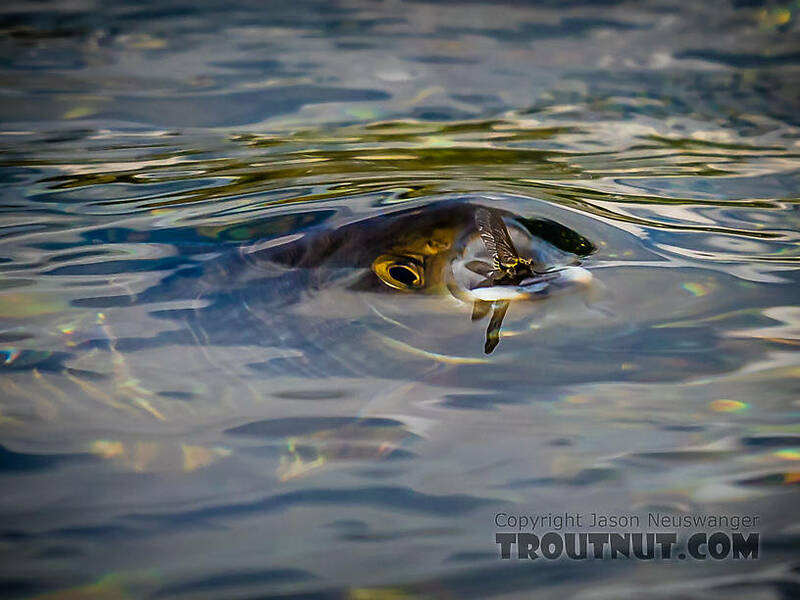 Big Arctic grayling eating a Drunella doddsii mayfly dun. 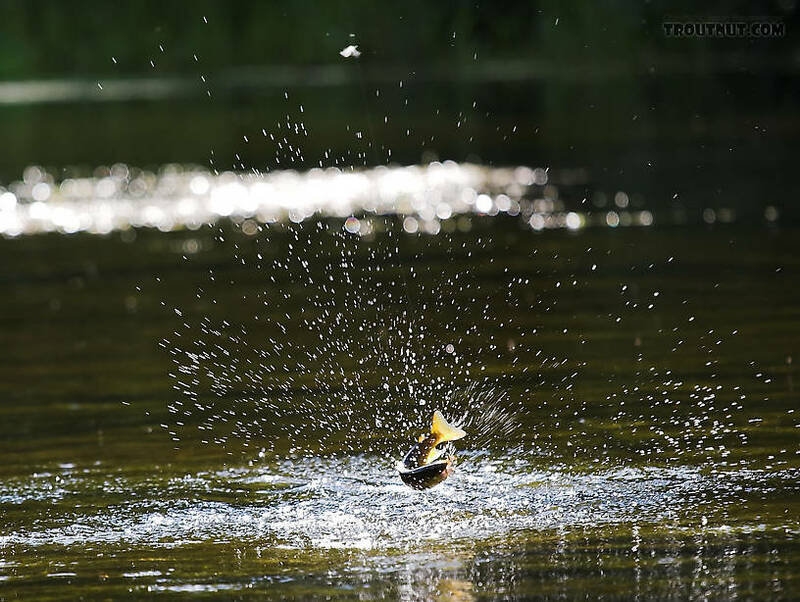 A small brown trout jumps at the end of my line. Photo by Sandy Neuswanger. Yes, the most popular photo on this website was taken by my mom when I handed off the camera to play this fish! 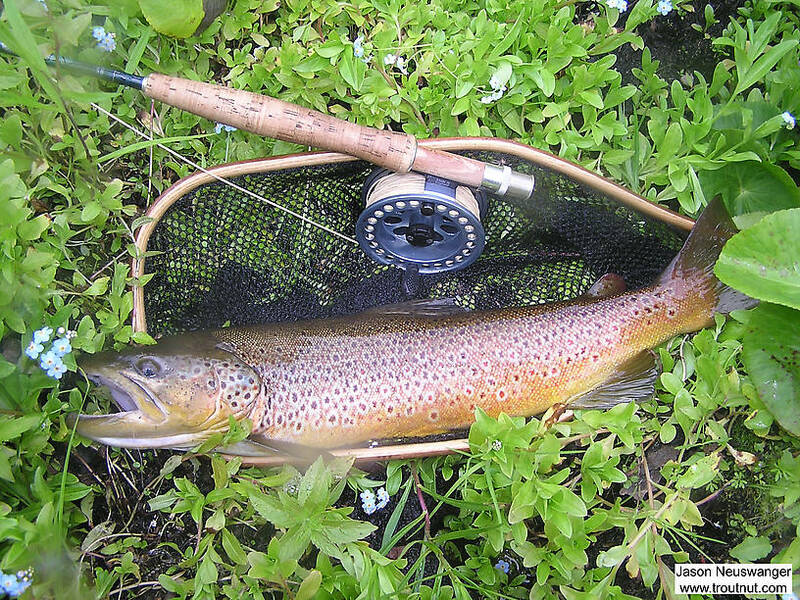 This beautiful 20 inch brown trout took a dry fly placed very tight against some overhanging alders. I was proud of that cast even before the trout smashed my fly. 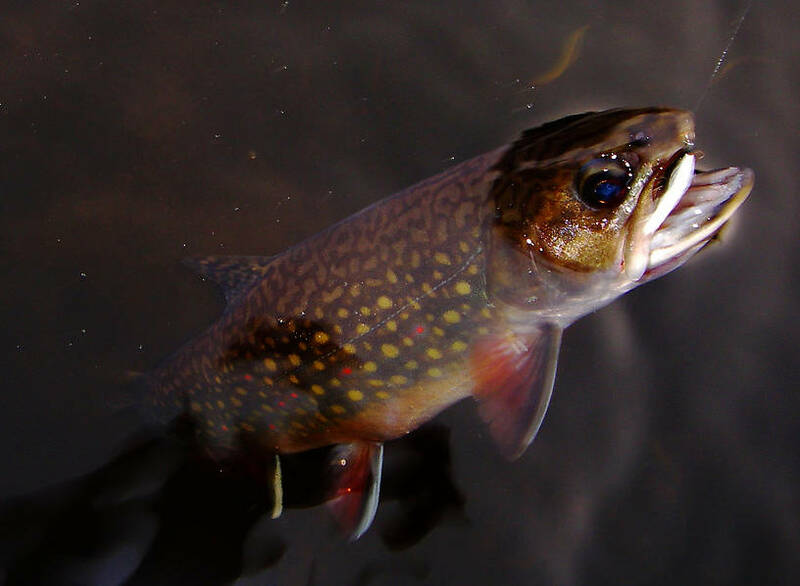 This brown is so vibrantly colored that as I caught glimpses during the fight I began to wonder if it was not a brown, but a monster brook trout. It turned out to be a very bright red/gold brown trout. The picture, fine as it is, doesn't do the trout justice. 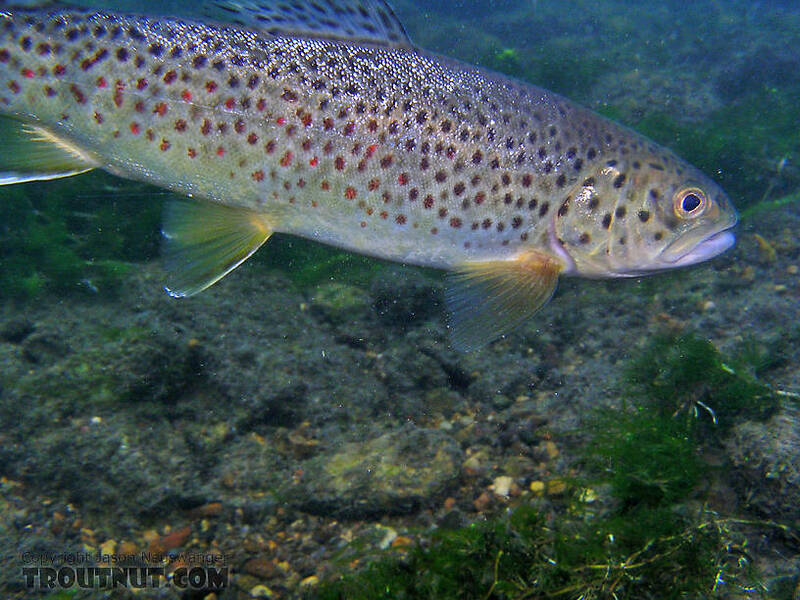 A small brown trout returns to the clear water from which he sipped my tiny ant imitation on a hot August afternoon. This fish almost got me into the coveted "20/20 club." 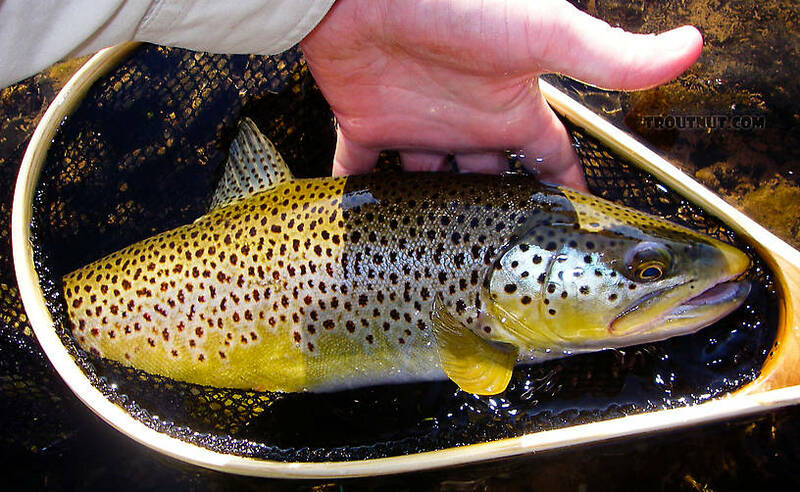 It's a 20 inch brown caught on sulphur-flavored Galloup's Cripple tied on a size 18 3X-fine dry fly hook. It's also my biggest fish to date from the Catskills. 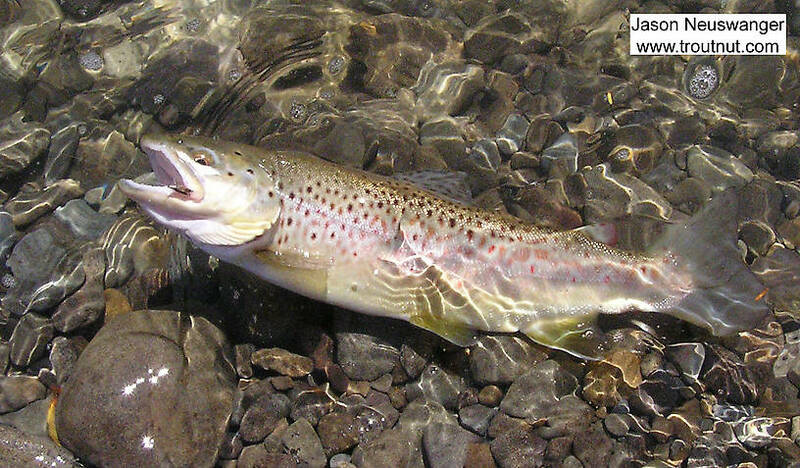 An 18-inch Catskill brown trout. Fish don't get any better than this. 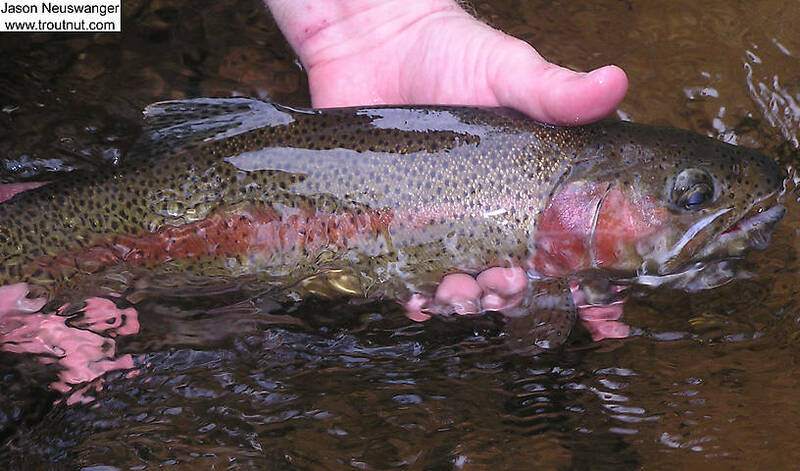 This beautiful 17 inch rainbow fell for a bright wet fly in late July. 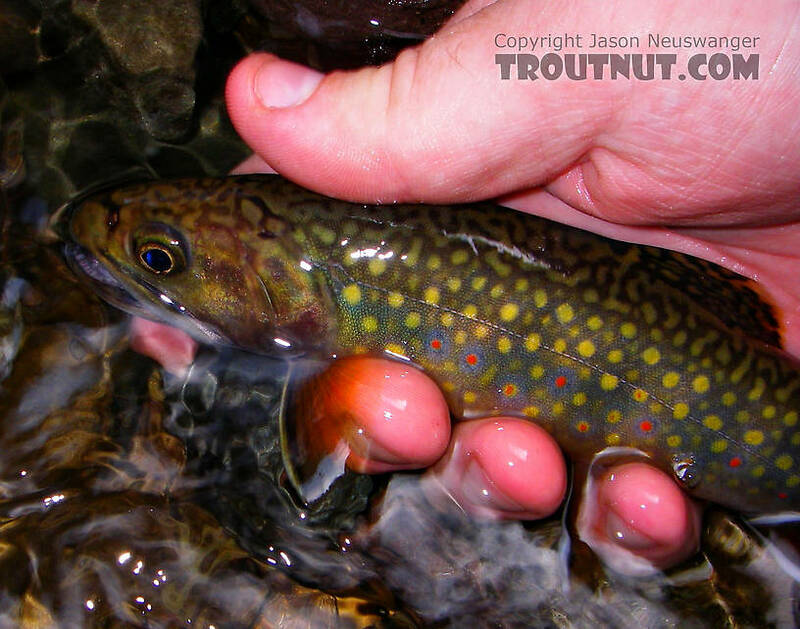 This 15" brown trout took a small emergent sparkle pupa on a large Catskill river.